The Journal of Learning Analytics is a peer-reviewed, open-access journal, disseminating the highest quality research in the field. 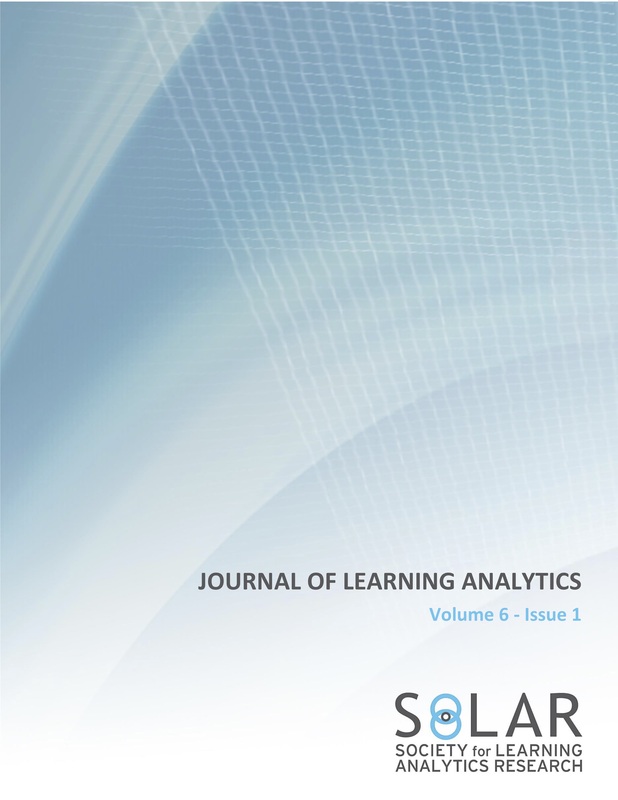 The journal is the official publication of the Society for Learning Analytics Research (SoLAR). With an international Editorial Board comprised of leading scholars, it is the first journal dedicated to research into the challenges of collecting, analysing and reporting data with the specific intent to improve learning. “Learning” is broadly defined across a range of contexts, including informal learning on the internet, formal academic study in institutions (primary/secondary/tertiary), and workplace learning. The journal seeks to connect learning analytics researchers, developers and practitioners who share the common interest of using data traces to better understand and improve learning through the creation and implementation of new tools and techniques, and the study of transformations they engender. The interdisciplinary focus of the journal recognizes that computational, pedagogical, institutional, policy and social perspectives must be brought into dialogue with each other to ensure that interventions and organizational systems serve the needs of all stakeholders. Together, these communities each bring a valuable lens to provide ongoing input, evaluation and critique of the conceptual, technical, and practical advances of the field. The Journal of Learning Analytics welcomes papers that either describe original research or offer a review of the state of the art in a particular area. The journal also welcomes practice-focused papers that detail Learning Analytics applications in real-world settings, provided that they offer innovative insights for advancing the field (see the journal's Focus and Scope for details). Manuscripts can be submitted to the Journal of Learning Analytics at any time. Only manuscripts for special sections should be submitted by the specific date as defined in the call for papers of the special section. Special section paper calls can be found in the Announcements section.